Wei Li is studying a PhD in Computer Science at Queen Mary and is a member of the Computer Vision Research Group. My research is mainly focusing on deep learning for surveillance video analysis. A challenging research task I am doing now is person re-identification, which is about searching people across non-overlapping surveillance camera views deployed at different locations. The key challenges in this research are related to identity visual knowledge representation and human-level visual ability mimic. Why did you choose Queen Mary to study for your PhD? After a short-term work experience in artificial intelligence in Alibaba, I decided to do a PhD in artificial intelligence and believe it is going to be the world-changing power in the near future. 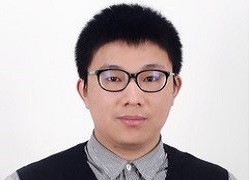 I joined the Queen Mary in 2016 as Prof. Sean Gong, Professor of Visual Computation at the School of Computer Science and Electronic Engineering, is one of the leading researchers of AI in computer vision, especially in intelligent analysis for surveillance video. What are the findings from your research? One key finding in last two years is a compact deep network with incredible person matching ability. My research project will produce a smart person search engine with the impressive ability of self-incremental learning and fast speed of visual inference. This will improve the matching accuracy and speed and ultimately alleviate the requirement of human resources in surveillance tasks. What I believe is such an intelligent engine would play a key role in building smarter cities and making safer communities.